WCDMA2100MHz 3G FIber Optical Repeater is the equipment for the network optimization in the mobile network that can enlarge the BTS coverage. It is widely used in the shaded area, high traffic load area and the pilot pollution area, etc. ● High stability and long life. ● Energy-efficient design, power saving. 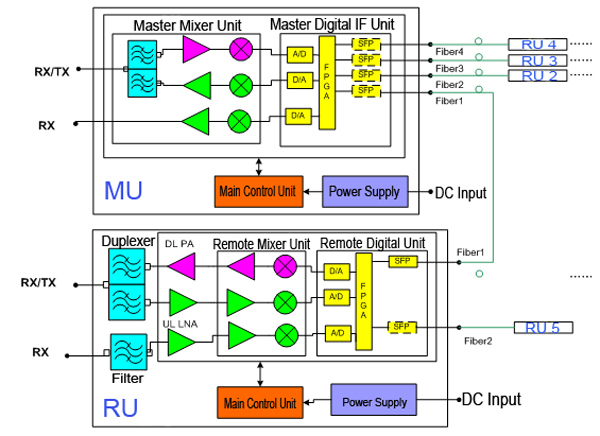 The Downlink,master unit of TX/RX receives the downlink(DL)signal from BTS through the couple,is amplified by DL Amplifier and Input Power Detection. 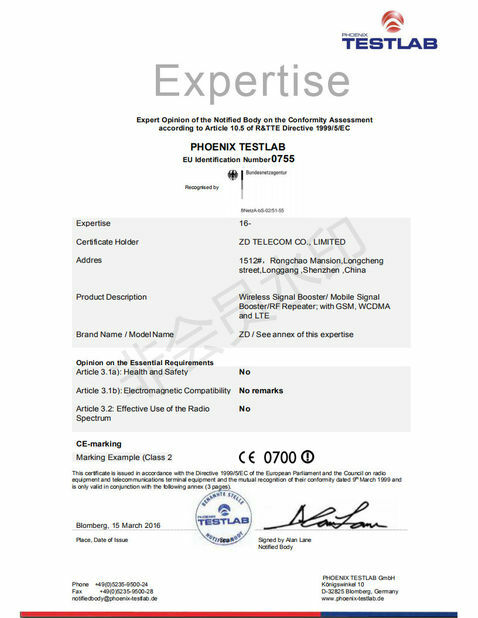 The uplink RF signal of mobile terminal in the coverage area is inputted by the port of the “To Service (TX)”, which is filtered by duplexer and amplified by the ULNA (Uplink Low Noise Amplifier). The main controlling panel (PCM) of master unit and remote unit will control their modules and communicate with each other via the data link of the optic modules. User can inquire and set the parameters by LOC (local monitoring) interface on the master/remote unit. 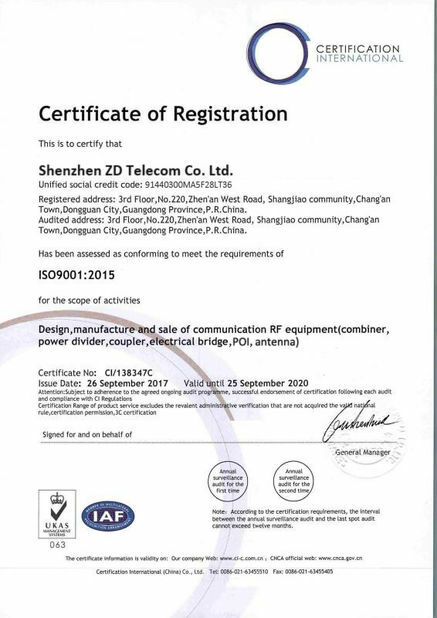 and user also can do in the OMC(Operation and Maintenance Center) by IP network. 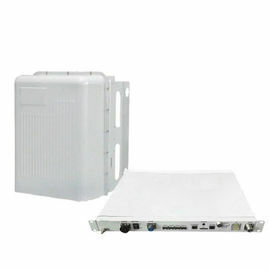 Power supply unit, which supplies power to all the active modules and in charge of charging battery.